This weekend we finally took some time to get into the Halloween spirit. 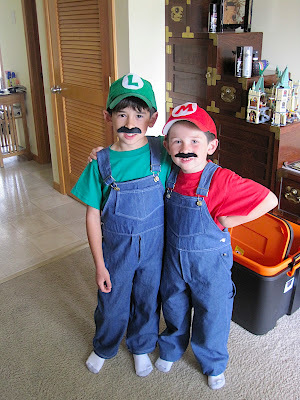 Friday we went to the Bellevue Pumpkin Patch to choose the family pumpkins, then the boys had a chance to wear their Halloween costumes both Saturday and Sunday. First of all, if you like this picture below, then click the link here to vote for them in a Fox Sports contest to have this picture shown during Game 3 of the World Series. No silly login/password/consent for spam required. The voting button is towards the right of the page. 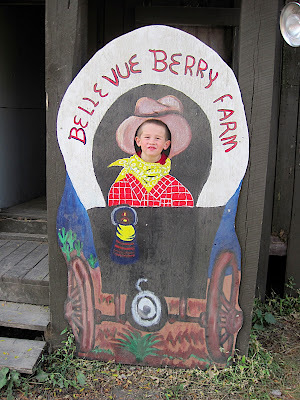 The Bellevue Berry Farm and Pumpkin Patch is right up the road from us. We usually pay a visit to the much-larger Vala’s Pumpkin Patch at some point, but always get so caught up in the attractions, we never make it out to get our pumpkins. Bellevue is so much more relaxing and laid back, we have an equally good time. Living only 10 minutes from there definitely helps too. We met Timmy’s friend Roger’s family out there and had a fun morning. Saturday was the AFWA Halloween party. For those new to my blog, AFWA stands for Air Force Weather Agency, and it’s the name of the military organization Dave works for. Their Halloween party consists of games and crafts for the kids, hot dogs and cupcakes, and then it’s wrapped up by a “Trunk or Treat”. 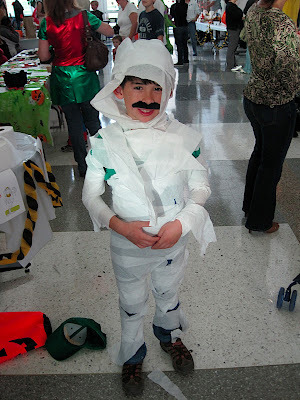 Today we made our way to the Omaha Zoo’s “Spooktacular” event. Apparently this is a pretty big deal around here. Perhaps it’s worth its own “Nebraska Discoveries” blog post because it was a cultural attraction all in itself! Yes, I think that’s what I’ll do.